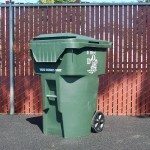 Mixed Recycling Roll Carts and Bins | D&O Garbage Service, Inc. These materials must be Empty, Clean and Dry. They may be mixed together in the blue cart. Antifreeze Place into see-thru plastic jug with tight fitting cap. Keep motor oil and antifreeze separate. Used Cooking Oil Place cooled used-cooking oil into same container and cap originally purchased, or place into CLEAN see-thru plastic jug with tight fitting cap. 2-gallons per week maximum. 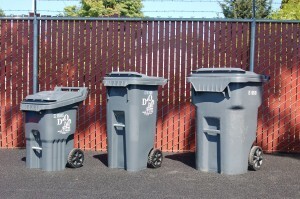 DO NOT MIX WITH OTHER RECYCLABLES. 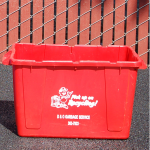 Do not place your mini – kitchen compost bin at the curb for collection. 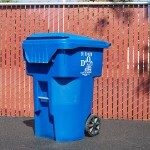 Dump the contents directly into the mixed organics cart. Hot Ashes (Which can damage the cart & truck) – Paints, Chemicals, Pesticides, etc. Items that weigh more than 200 lbs.